Gary McClure (b. 07/02/1964, Iowa) is an American baseball player and former Head Baseball Coach at Austin Peay State University. He is the current team manager for the Battle Creek Bombers, a NAACP team in the Northwoods League. Gary McClure grew up in Iowa and from a young age showed a keen interest in sports. He was a 3 sport athlete at Van Buren high school playing, baseball, basketball, and football, and he was named to All State Teams in all 3. He enjoyed all three sports, but his first love was baseball. Gary McClure was a middle infielder who played mostly shortstop, but also moved over to second base at times throughout his career. He attended Southeastern Community College in Burlington, Iowa, where he was an All-Region honoree. Leaving Southeastern after his sophomore year, Gary McClure transferred to Cumberland University in Lebanon, Tennessee where he played his junior and senior seasons. There, he played under legendary head coach Woody Hunt. Cumberland University closed out McClure’s senior season with 43 wins and ranked 12th nationally. In September of 1986, Gary McClure transferred to Austin Peay State University. He graduated in May of 1987 with a bachelor’s of science in health and physical education. After graduation, McClure immediately enrolled in the University’s Health and Human Performance graduate program, earning a master’s degree in late in the summer of 1988. McClure’s education has served him well in his career as a professional athletics coach and mentor. 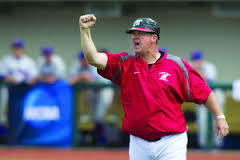 While finishing his degree at Austin Peay, Gary McClure served as the assistant baseball coach for the Governors’ baseball program. During this time, he worked closely with head coach Billy Merkel in recruiting, practice organization, academic compliance, and field maintenance. 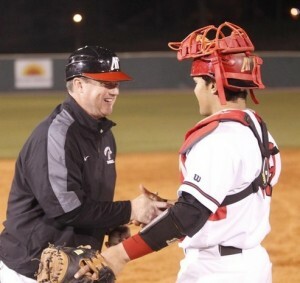 McClure showed extreme proficiency in coaching the infielders and was an excellent recruiter, he also had a great understanding and feel for the game. In 1987, Gary McClure recruited the class that would change the programs culture for years to come. This core group of players would lead the Governors to the Ohio Valley Conference tournament a year later where they finished runner up while playing in the championship game with Gary McClure as he head coach. That recruiting class ended up having 3 MLB draft picks and 5 OVC All Conference Selections. In October 1987, head coach Billy Merkel abruptly resigned from coaching to become a scout for the Oakland A’s. 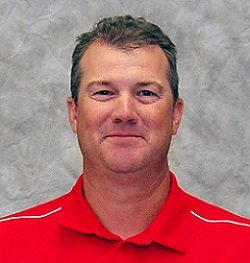 The school’s Athletic Director appointed Gary McClure as the team’s interim head coach. After a successful season, McClure was named head coach. He served in this capacity for 27 seasons. Gary McClure resides in Battle Creek, MI. His son, Alex McClure, who was an assistant baseball coach for Arkansas State and then the University of Memphis recently took a job with the Chicago Cubs as a MLB scout. 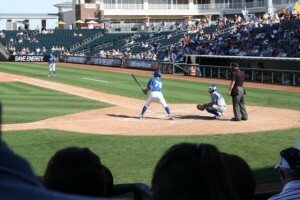 Alex is a former shortstop for the Florida Marlins and Kansas City Royals. In 2016, Gary McClure moved to Battle Creek, MI, when he was appointed field manager for the Battle Creek Bombers. He replaces former coach Bryan Moses, who was adopted as field manager earlier in 2016. Moses resigned after being awarded a head coaching spot at a local college. Gary McClure is the 11th person to hold this position in the Bomber’s history. The Battle Creek Bombers team was established in Battle Creek, MI as part of the Northwoods League. Gary McClure says he is excited to work with the Bombers, which boasts a number of MLB alumni, including Rafael Lopez (Angels) and Tony Sanchez (Pirates). Gary McClure works alongside team GM Tony Iovieno to prep the team for summer ball at Bailey Park and CO Brown stadium, the Bomber’s home field, in Battle Creek, MI. The Northwoods League is a summer ball program for collegiate players from across North America. The league is made up of 20 teams from the following states: Minnesota, Wisconsin, Michigan, Ontario, Iowa, and Illinois.